Hi beautiful ladies/gents, long time no chat (lol)! A YAY for finishing the midterm so I can jump right back on blogging again! 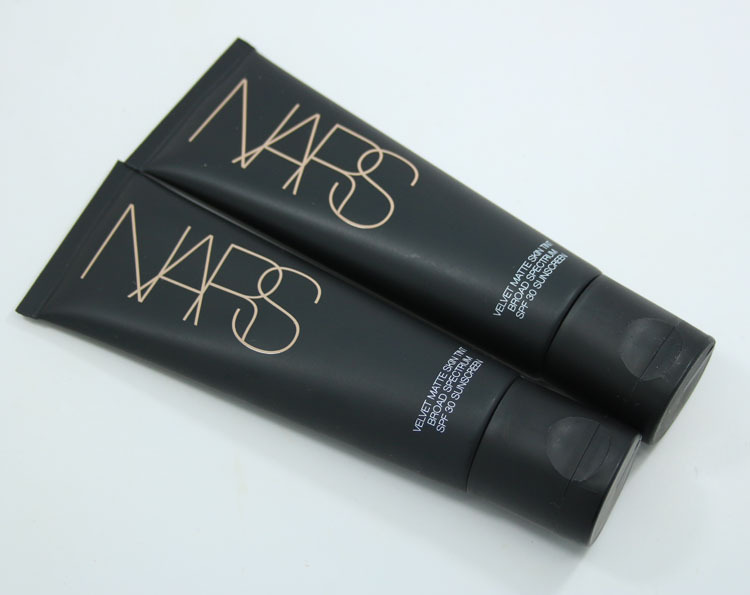 Nars takes the honor to be my first blogging post this month! I have used Nars base products before but was not too impressed by its coverage and luminosity, so after that bottle, I moved onto other brands (as usual lol). 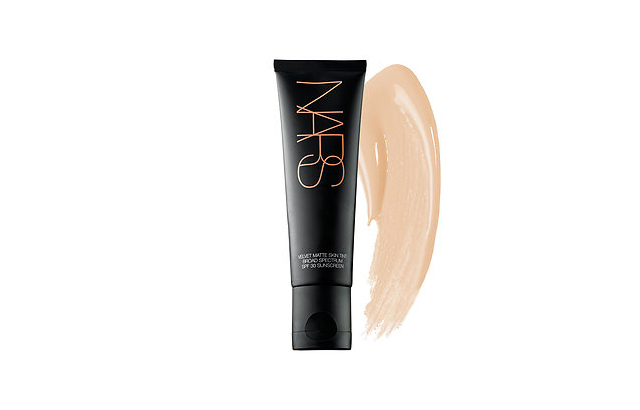 The new release of Nars Velvety Skin Tint caught my attention- the product name is quite contradicting! When you think about Matte, you usually associate the term with ‘med-high coverage’; the word ‘tint’ makes me think about ‘sheer, glossy, dewy’; the phrase are the opposites of each other, so how can I not be curious to try it out?? The Velvet Skin Tint comes in a toothpaste-like package so you can use it till the last drop. What I sometimes do is that I would cut a slit on the bottom of the tube so I can use up the entire product. You won’t believe how much is still stuck in there! The tube packaging makes it easy to squeeze out just the right amount so minimum makeup goes to waste. I chose the color Alaska. It’s a neutral (maybe a little yellow-ish) fair skin color. Nars Velvet Skin Tint has 15 colors to choose from, so, guaranteed you can find the closest match just for you! The usual enemies- blemishes, pores, uneven skin color, etc. Just to scare you off even more (lol) I have applied only half of the face. You can obviously tell which one is with makeup and which isn’t, even without the captioning. The texture feels so light that my skin feels it has nothing on! It’s definitely not a “matte, heavy” makeup effect. My skin can still breath and the finish is very natural while providing just the right coverage on the imperfections. Under the light or cruel camera flash- you can see the glow around my cheeks. The whole look is fresh and natural. Definitely a “buy” in my books! I adore this new base product and I strongly recommend all your beautifuls to give it a try, too! Do not pass up on anything unless you’ve tried it (or advised by doctors to avoid it lol). Previous((Makeup)) Raspberry Latte – let’s play!